Hello friends! 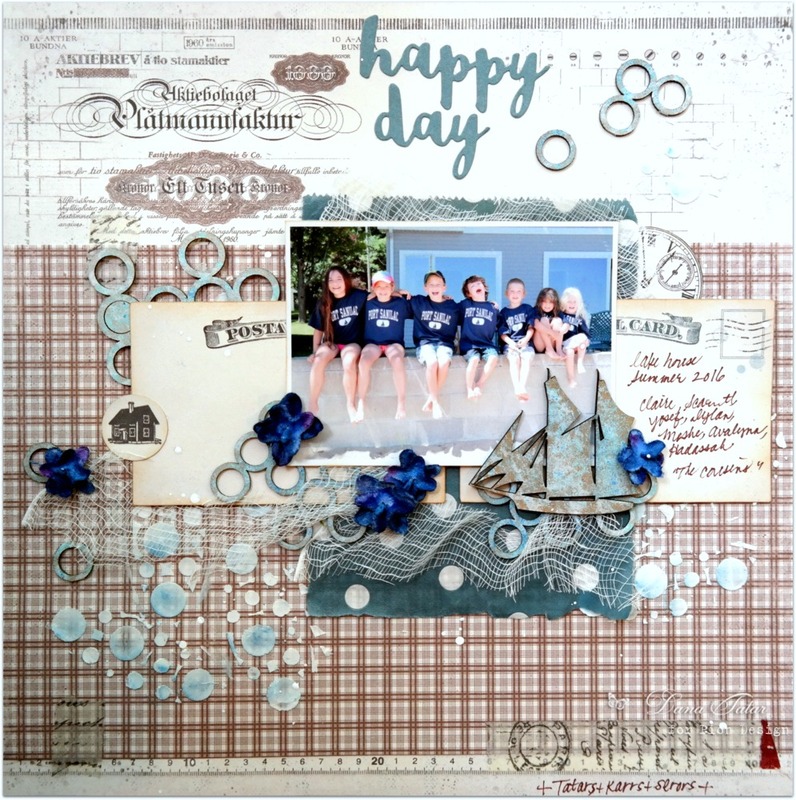 I have a layout from my beach vacation to share today. I’m still enjoying the wonderful Mister Tom’s Treasures collection. I had a lot of fun creating a nautical scene for this page with repeating circles, flowers, a sailboat, netting, and some postcards. I’m definitely missing the sound of the waves and the sand beneath my feet.A gathering of cousins like this only happens about once a year for my family as we are living quite far from each other. We like to round all the kids up for a photo when we can. This happy pic will join the rest that we have collected over the generations.